When the yacht carrying illegal immigrants was intercepted there were four people found on board. They were identified as Ukrainian nationals. There were checks made, after which they were arrested on office of immigration by Devon and Cornwall police authorities. The unit of the Immigration Enforcement, Criminal and Financial Investigations then got involved to question and determine the offense done by these illegal immigrants. The men arrested are now being detained by Border Force and would be removed from the UK. The vessel has been impounded and remains under police custody at the St Mary’s Harbor. The act of intercepting the yacht was made by a coastal patrol vessel. They intercepted the vessel and after the checks were done and arrests made, it was towed to harbor. Cornwall and Devon police authorities have arrested these men on grounds of illegal immigration and the offense of facilitating the same. 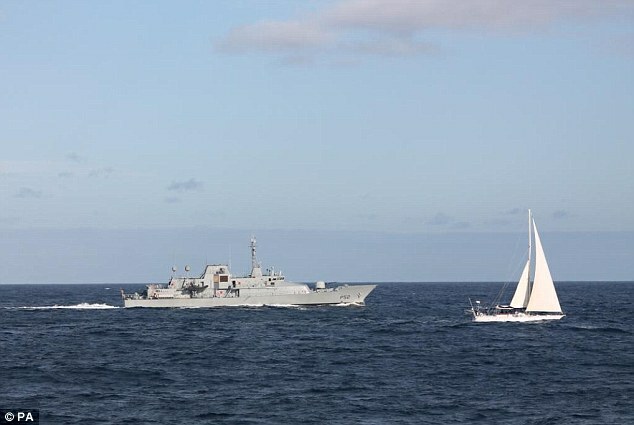 The yacht and scenes of how the Border Force towed it in can be found in different news, blogs and forum along with details of the illegal immigrants captured.